One of the best feelings in the world is getting a new computer or smartphone. For a few hours you can forego the user guide and just play, checking out all the new features. After those hours, though, reality sets in and you realize there’s an old clunker sitting in the corner. That’s when you start to ask what the best way is to dispose of an old computer or mobile device. For some of us, we don’t really know the best answer to that question. We know we’re not supposed to just dump old electronics in the trash, but what else should we do with them? Sometimes they’re still operational, and sometimes they needed to be put out to pasture long ago. If you’re one to buy new devices every time a new one hits the shelves, you have to decide what to do with the old ones or your desk and office will soon be overcrowded. What do you think is the best way to dispose of an old computer or mobile device? 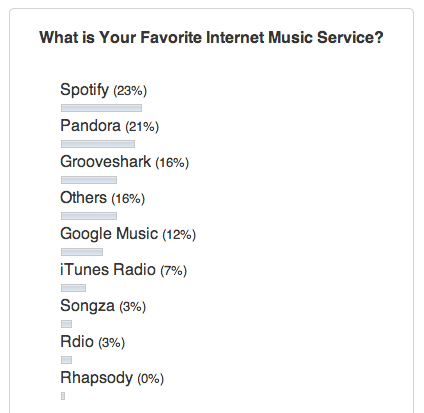 Those responding to the poll chose Spotify, Pandora, and Grooveshark as the top Internet music services. The new kid on the block, Apple’s iTunes Radio, is pumping out the jams already with seven percent of the vote after only being available for just a few weeks. Google Music has slightly more listeners with twelve percent, while Songza and Rdio bring up the rear with three percent each. Lowly Rhapsody has no listeners among our audience. Here in the province of Ontario, there a public fund electronic recycle program. By law any place that sells electronic devices, i.e. BestBuy, FutureShop, Staples, The Source, Radio Shack (what left in Canada) will accept older electronic devices for recycling. Down side in order to fund this, a 1% tax is added on all electronic device, and accessories .i.e. USB cables, power adapters. I once tried to donate used computers to a charity. They already had plenty of obsolete computers, and did not want it. 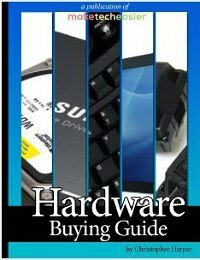 Better to install some form of Linux on it that is better on an older PC, and give it to someone in need, or just recycle it, but not at Best Buy or Apple. Make sure that your recycler is not just sending the stuff overseas to be burned, and stripped of parts, as some do. This just adds to the pollution issue, only not here.